We often hear from people that they are very much willing to join a gym but as they are not fit and curvy like other people so they feel shy to go to the gym. This is simply a ridiculous excuse for avoiding the workout. However, my dear friend, you can beat your fear of going to the gym with a few easy tricks. If you have fear or anxiety in your mind or heart that you cannot compete with other gym buddies who have attractive muscles and body then really you are misguiding yourself. This is the common perception which breaks the courage of every new person who wants to join a gym for the very first time in their life. Joining a gym is not only about getting perfect body curve and muscles but it is also very much related to our overall health and fitness and that is why it is not limited for the young generation even an old person can join the gym for maintaining his or her overall fitness in a healthy way. Same way if you are an obese or you carry lots of body weight which makes you feel shy to go in public or in the precise term you have social anxiety that what other people will think about you when you join the gym, they will talk about your figure behind you etc. if these are the barriers for you then stop thinking such non sense things. 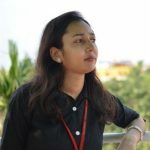 My dear friend the reality is that every person has some starting point from where they have started their journey, which may be their first day of gym, or the day when first they decided that they will do something for their physical look etc. Just like them, this is your starting point or journey of fitness. There is nothing to feel shy by looking at others when you are in the gym. You just need to concentrate on yourself as no one else is thinking about you at all. Everyone is concerned about their physical fitness for which they come into the gym and they want to gain their goal with concentration and regular honest effort. 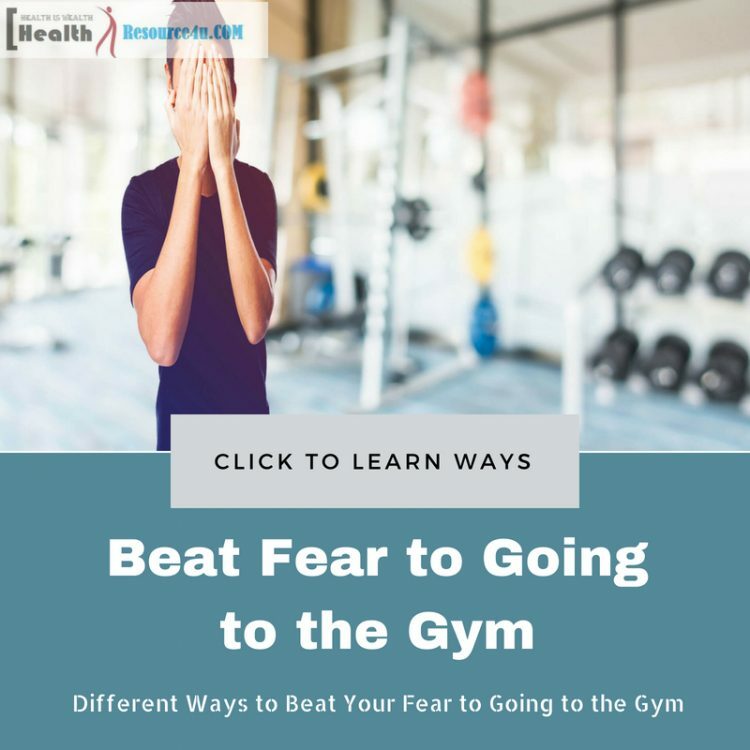 If you want to join a gym but your anxiety and social fear are pulling your leg back, then just go through to our below-mentioned tips that will help you in a very effective way to beat your fear for going to the gym. There is one conception that exists in the many people who are planning to join a gym first time that once they will lose some of their body weight or will get a good figure then they will buy the workout clothes. This is absolutely a wrong perception. When you wear your workout clothing it automatically fills you with fresh energy and enthusiasm as you realize that now you are an active gym partner and practice or exercise accordingly. Also, the clothing in the gym should be very comfortable otherwise every time you will feel annoyed and discomfort while practicing your workout moves. While selecting your clothes to make sure that it’s not too large or loose neither it is very short or too much tight that you will feel shy during workout practice. Every gym place has certain time and schedule in which the rush remains at its peak. So if you are socially conscious and feel shy by seeing others inside the gym that what they will be thinking about your body, figure, and size, then it is the best solution for you to avoid gym in its peak schedules. You can ask your trainer about the casual timing when the crowd remains very low and can workout at that particular time only. This is the easiest as well as an effective way to overcome your anxiety and social fear. This will help you to do experiments with different weights and equipment in your gym as you can lift different weights lifters and try a different range of exercise equipment with a free mind as there will be hardly anyone noticing you that how perfectly you are in your moves and what amount of weight you are capable in lifting. It’s quite usual for the beginners or those who are joining a gym first time an existence of injury fear during their exercise session which often discourages them to start their fitness journey. If this is the reason for your reluctance for going to the gym then my dear friend you can surely overcome it with some smart moves and strategies that will make your way easier. First, you need to inform your instructor in the gym that you are absolutely new as because they will give you those workouts for practice which is suitable as per your initial days or stage. For the initial days in the gym, it is better to join by the level 1 or the beginner’s classes where you will be given light and warm up workouts which will slowly prepare you for the intense or high-level workouts. Start your day with a little warming up which will warm up your muscles, foot, and hand as then you will feel less stress when you will practice any intense workout. You can start with light moves like yoga, walk or jogging, spinning, cardio kickboxing etc. Another important step that can prevent the risk of injury during the workout in the gym is a selection of right quality and type of shoes. Select your shoes as per the type of workout that you practice primarily as it will save you from misbalancing and any injury associated with such misbalancing while workout session. You can take the help of your trainer who can guide you better regarding your shoe selection as they know appropriately about shoes you need to wear and how you can properly maintain your body balance while practicing any workout. Be with yourself or simply concentrate on your steps and moves when you are in the gym and forget about the rest of the world including people surrounding you. This is the common problem among beginners in the gym that they look more to others instead of concentrating on their own actions and this is the reason they feel shy and reluctant to go gym when they find themselves very far behind with comparison to others who are old in their gym place. This is absolutely a negative thought that is enough to break your courage and stamina and to make you feel hopeless and discouraged for the next day. My dear friend instead of competing with others at the gym it’s better you compete with yourself as this will opens up the way of progression for you and by the next time, you will not hesitate to go your gym. Also, you can divert your mind easily from your surrounding people and their activity by concentrating on music that constantly plays in the gym hours. This way you can easily be with yourself which is a positive behavior that encourages your mind and body. For the beginners one common stress that exists in approx. every new joiner of the gym that how I will look in the crowd of the gym, what will happen when I will not be able to give perfect moves like others, will people laugh on me when I will be late at the gym etc. See my dear friend these are all nonsense thoughts which has no base or there is nothing to do by sticking with these useless assumptions in your mind. In a gym, every next person comes with their own target, their own particular goal, so there is no one who is interested to stare at you while you will practice. 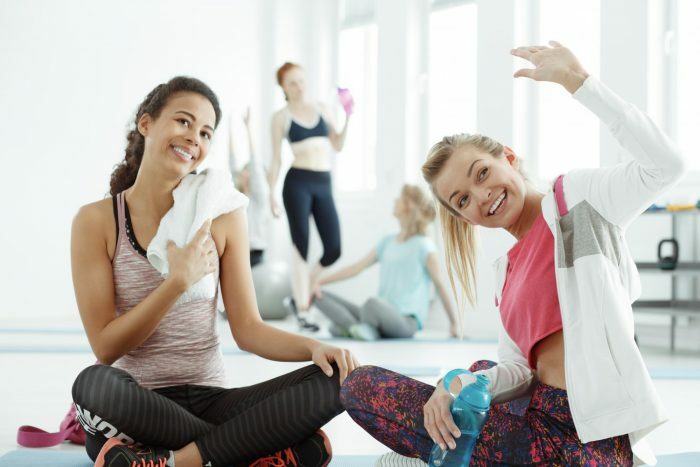 The situations in which you are going through now, your entire gym partner have faced at a certain point in their life when they first started their gym class. You are a simple human being and error is possible by us only. So forget your fear of your look and appearance in the public. Another trick that can help for removing your reluctance to join the gym by practicing some of the moves and workouts at home only in the initial days of gym class. You can take the help of YouTube videos in this regard which will guide you step-step about different workout moves. Once you will be ready and feel you to perform the workout in the public then start your gym classes. Many people reluctant to go to the gym with the thinking that they will get bored of it and this is the reason they find it less interesting. If you are the one who has the same perception then it’s time to make your gym time joyful with some healthy tips and tricks. In every workout station, some music is played in the background throughout the session or till the time it runs which makes people more energetic and enthusiastic. It helps them not to feel exhausted even if they do an intense workout for long hours. Apart from music, you can make your workout session joyful with little break in which you can give relaxation to your mind and body after that you can start your exercise with a dual range of energy and enthusiasm. When you start going to a gym it is necessary that you find a good buddy or gym partner for you. This is a healthy practice as when you will find someone every time with you then your gym session will become enjoyable and side by side both of you can guide and help each other in a positive way. Both of you can exchange your thoughts and goal with each other and you can ask your gym partner to judge you after a particular time with respect to improvements, your drawbacks etc. In this regard, you have to be very much sure that your partner is a person with positive thoughts. A positive attitude person always delivers right thought in the right way and at the right time. When you will find a companion at your gym place you automatically forget about your surrounding and you become more confident while practicing. So there will be no room for useless fear that pulls your leg back from coming to the gym. We often don’t give priority to our underlying fear and this fear is of failure which you have to overcome at any cost otherwise you cannot expect to fulfill your muscle building goal. Often people show their unwillingness to go the gym with their stubborn underlying thought that they will not succeed like others and their target is unachievable. My dear friend no one in this world born with success in hand they have put some consistent effort to achieve their goal and success. Likewise, you have to first remove this negative thought from your mind, and put positive thinking into your conscious and subconscious mind. When someone else can do then can also do that as you also made by the same flesh and blood that any successful person is made up of. Make a particular goal for you and as per your goal make your plan so that you will have a clear guideline in your hand. Give yourself a particular target monthly wise and at the end of the month judge yourself on the basis of your achievement and calculate how far you are from your goal. 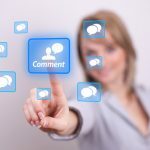 This simple and practical trick will raise positive enthusiasm in you and will remove the fear of failure from your underlying thoughts completely. Apply this tips and beat your fear forever of going to the gym. It is very crucial to be very smart and prudent enough while selecting a gym for you, especially when you are planning to join a gym first time in your life. If the very first experience of your life will be unpleasant and uncomfortable then it is quite obvious that you will hesitate to go gym further. A proper selection of gym depends on several factors like its closeness to your home, its cost, its equipment, environment etc. and according to that you should select only that workout station that fits in to all your criteria and expectations as it will increase your desire to go your gym without feeling reluctant and oak ward. We hope our tips and tricks will surely help you to beat your fear of going to the gym and you will find your gym class more enjoyable and comfortable that it becomes your passion.